New Delhi, Nov 9: Ford India today launched its new upgraded version of popular compact SUV EcoSport priced between Rs 7.31 lakh and Rs 10.99 lakh. 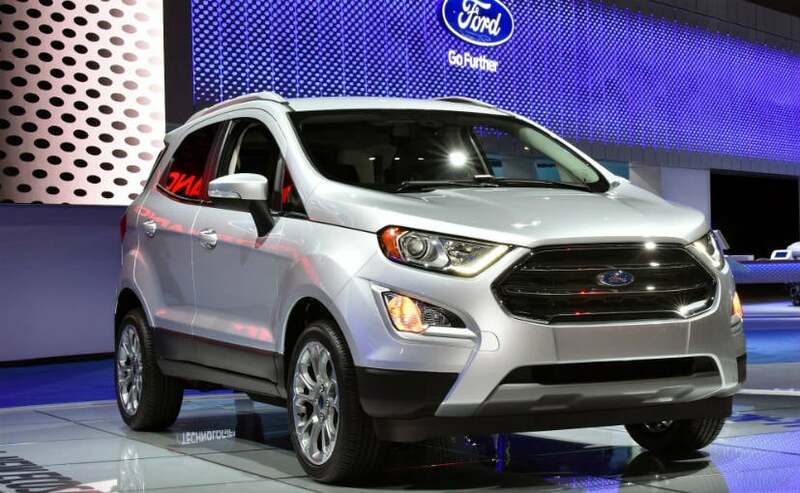 The new version of the EcoSport is available in both petrol and diesel engine options. The petrol variant comes with a brand new 1.5 litre engine delivering fuel economy of 17kmpl and it is priced between Rs 7.31 lakh and Rs 10.99 lakh. The diesel option continues to have the same engine as the previous model and comes at a price range of Rs 8.01 lakh and Rs 10.67 lakh. It has a mileage of 23kmpl. "The all new EcoSport reinforces our commitment to the Indian market...We have increased the level of localisation to 85 per cent from around 60-65 per cent when the model was first launched in 2013," Ford India Managing Director and President Anurag Mehrotra told reporters here. While the price of the existing model has been retained, the new EcoSport has as many as 1,600 changes and dual front air bags and ABS come as standard equipment, he added. Ford India has however discontinued the Ecoboost petrol engine, variant of which was available in the earlier EcoSport version due to less demand. Mehrotra also said Ford has become the largest passenger vehicles exporter from India and the products go to even advanced markets like North America and Europe.